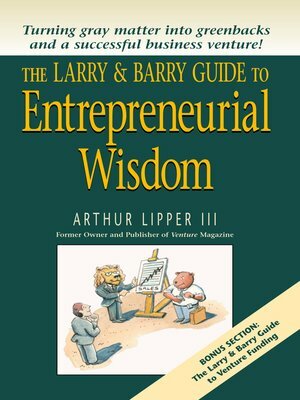 If you have a valuable idea and want make the leap from there to billionaire, let the Larry and Barry guide you through this difficult process — from business-building to profit-making. These two characters will keep you entertained while offering priceless advice on: Clarifying your idea and determining valueTurning a vision into a businessFinancingStarting your businessStaffing - needs versus wantsNetworking Attracting partners Maintaining cash flowPLUS:Special Bonus section on Venture Funding!Learn what to do and—just as important—what not to do from seasoned professionals that understand how to transform your abstract idea into a money-making enterprise. Having been there and done that, Larry and Barry offer the entrepreneurial nuts-and-bolts required in today's competitive environment to create a prosperous business venture.